April 26 is Administrative Professionals Day; which recognizes the hard work completed by support staff. 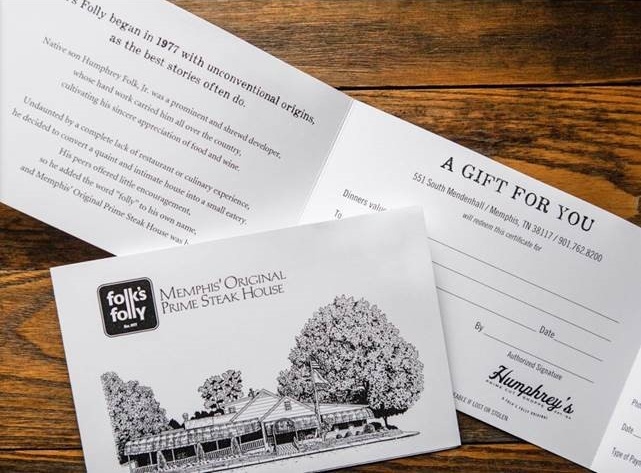 To recognize the hard work that your administrative professionals put in everyday, we’re looking to give one lucky winner a $100 gift card to Folk’s Folly. Tell us on Facebook about the most helpful thing your administrative professional has done. If you are an administrative professional, you can talk about how you have went above and beyond for a co-worker. If you have photos that go along with your entry, we’d love to see them! Entries will be accepted until Wednesday, April 26 at 5:00 PM CDT. Our marketing team will carefully review and select one winner to receive a Folk’s Folly gift card based on the following criteria. Comment with the best story on how an administrative professional has helped them. Must be 18 years or older and reside within 25 miles of Memphis to enter. Please view complete terms and conditions.